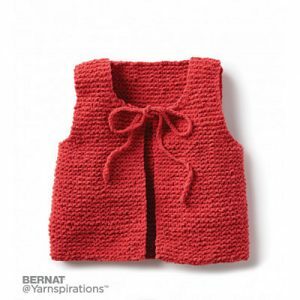 Wee Knit Vest Free Garter Stitch Pattern for Babies. This simple knit vest is tied at the front with a sweet bow! What a great layer for every season. Baby vest knit patterns.